We’d love your help. 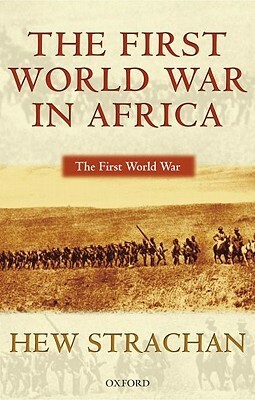 Let us know what’s wrong with this preview of The First World War in Africa by Hew Strachan. 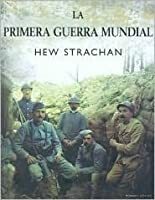 To Arms is Hew Strachan's most complete and definitive study of the opening of the First World War. Now, key sections from this magisterial work are published as individual paperbacks, each complete in itself, and with a new introduction by the author. The First World War was not just fought in the trenches of the western front. It embraced all of Africa. Embracing the per To Arms is Hew Strachan's most complete and definitive study of the opening of the First World War. Now, key sections from this magisterial work are published as individual paperbacks, each complete in itself, and with a new introduction by the author. The First World War was not just fought in the trenches of the western front. It embraced all of Africa. Embracing the perspectives of all the nations who fought there, this is the first ever full account of the Great War in Africa. To ask other readers questions about The First World War in Africa, please sign up. Unless Ross Anderson has been really busy in the past decade, this remains by far the best overview of the fighting on the African continent during WWI. Personally, I don't need any more detail; little happened in most colonies because both sides had scant resources to spare. Paul von Lettow-Vorbeck playing Vietnam avant la lettre with various Allied columns takes up half the pages for a reason. The only thing I miss is more background on the forces: weaponry, uniforms & tactical deployment. This is a portion of Hew Strachan’s larger series on the First World War. This part is strictly dealing with the battles for control of Germany’s African colonies. Togo, Cameroons, South-West Africa and German East Africa (Tanzania) were all conquered by the British and French by the end of the war in Europe. Though the British fought Togo and Cameroons with mostly African troops, South-West and German East Africa were fought with combinations of South Africans (mostly Boers) and East Indians. It This is a portion of Hew Strachan’s larger series on the First World War. This part is strictly dealing with the battles for control of Germany’s African colonies. Togo, Cameroons, South-West Africa and German East Africa (Tanzania) were all conquered by the British and French by the end of the war in Europe. Though the British fought Togo and Cameroons with mostly African troops, South-West and German East Africa were fought with combinations of South Africans (mostly Boers) and East Indians. It wasn’t until the last two years of the war that the fighting was Africanized using South African Officers. The greatest story of all these minor wars was the way Paul Lettow-Vorbeck who was in command of the German troops in East Africa, was able to stay on the run for the whole war and only surrendered after the Armistice in November 1918. Though Lettow never fought a truly guerilla war, he did pit his undermanned command of 3,000 whites and 7-10,000 Askaris (African troops) against twenty five thousand South Africans and 30,000 indigenous troops. As much as Strachan derides Lettow’s accomplishments (he kept an army in the field for over 4 years), Lettow was well respected by his contemporaries. One of the failures of the British was the used of Indian conscripts who never acclimated to Africa and mounted South African troops. During the war the British lost twice as many troops to disease (6K+) as they did to casualties (3K+). The Indians were very susceptible to malaria, and the South African horses to the tsetse flies. Whereas Lettow used only local bearers and his own soldiers to carry material, the British were dependent on conscripted bearers. In the climate of parts of East Africa, many bearers died from disease and starvation. At one point the British had ‘wastage’ (Strachan’s word for death) of 90% of 20,000 bearers that they were using. Lettow had a large contingent of officers and NCOs whereas the British were using subalterns and other untried officers. Lettow forced the British to follow him all across East Africa and at the end of war though a large part of Mozambique. This strategy allowed him to live off the land but by the time the British came through he had stripped the area of food. The British were forced to use bearers to carry food, but for long marches, the bearers had to carry their own food too, leaving only 40% of the food for the soldiers. Strachan has the true British attitude to the non-white troops and bearers. He talks about how the Indians were poorly trained and led and then complains that they were ineffectual. He cavalierly throws out the number of 100K African bearers who died during the war from starvation and disease. This ‘wastage’ was just the ‘cost’ of fighting the war, but may explain why Lettow was well treated by the ‘locals’. This is a very well documented description of the people and personalities involved (except the Africans) but is very Anglo-centric. What it says on the tin. Its the First World War. In Africa. A worthy tome describing the campaigns in Africa. Not, in my opinion as good as Tip And Run by Edward Paice.